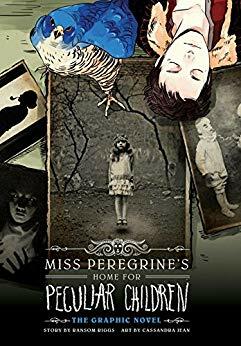 This week's Book Giveaway is the graphic novel adaptation of Ransom Riggs's Miss Peregrine's Home for Peculiar Children. (I realize the original version of the book was also pretty graphics-heavy, but apparently someone decided to go all the way.) Again, a full review will follow shortly, and please note: due to a bunch of overdue postings, this giveaway will run through October 12th.